4What does it do for the athlete or gym rat? Stenabolic (sr9009) is a research drug that is an agonist of Rev-ERbA, meaning it increases the repression of genes it regulates. Although popularly sold as a SARM (selective androgen receptor agonist), it is actually not one at all. Rather, it should be compared to its cousin Cardarine (GW501516). Due to the poor information out there, many people are confused as to how this drug works and what it does. The Journal of Nature Medicine in 2012 brought Stenabolic (sr9009) to light when it published animals studies that showed it was essentially ‘exercise in a bottle’. It was developed by Professor Thomas Burris who worked for The Scripps Research Institute. Since then, athletes of all backgrounds have gained an interest in this drug for their own fitness goals, especially endurance and fat loss. Stenabolic (sr9009) works in 2 main ways to provide benefits by binding to the molecule Rev-ErbA. It binds the molecule in our body that controls lipid and glucose metabolism in the liver. It stimulates macrophages which remove dying cells during inflammation and remove fat-storing cells togethe. Rodent studies have shown a drop in Rev-ErbA will decrease metabolic muscle activity and endurance from running, which is NOT what we want at all! When Stenabolic (sr9009) was used, this was reversed due to the activation of Rev-ErbA. In fact, the difference was a 60% or more increase in ‘running capacity’, even during restricted cardio (Fig.1). The other amazing result was the rodents grew muscles needed for running and cardio. Burris theorized the reason is that Rev-ErbA creates new mitochondria, while clearing out the faulty cells. What does it do for the athlete or gym rat? This is the #1 effect that is reported when using Stenabolic (sr9009). In addition to what was mentioned above with running capacity increase, it also causes an increase in glucose oxidation in skeletal muscle. This allows the body to go faster and longer, without getting winded. This is the opposite of what occurs with stimulants, which will cause your heart rate to increase rapidly, essentially burning your body out. Just imagine revving up your car engine with stimulants vs. using Stenabolic (sr9009) and putting a V8 into a Ford. For this reason, it is superior to any pre-workout you could ever imagine using. Due to Stenabolic (sr9009) increasing metabolic rate and the effects it has on mitochondria, the body will turn to burn more calories vs. storing them. Naturally, when this happens you will simply burn fat, even with little exercise. It is worth noting though the more you do exercise the more results will occur, so I recommend taking full advantage of this. Studies showed rodents took Stenabolic (sr9009) for 10 days and had lower triglycerides and total cholesterol. This is due to the Rev-ErbA binding. There was also a study that the heart function and weight were reduced after just 2 weeks of use. This makes it a smart choice while on an anabolic steroid cycle. When you stimulate Rev-ErbA using Stenabolic (sr9009) you will reduce inflammatory cells. It also works by regulating circadian rhythm in a positive manner. Stenabolic (sr9009) can most certainly be used by itself. It has a short half-life, estimated to be only 4 hours. However, this does not mean you must dose it every 4 hours, or even every 8 hours. Rather the way I recommend using it is 1-2 hours before any physical activity. The dosage is always 5-20mgs per dose, not to exceed 40mgs per day total. Also, I recommend not exceeding 12-week usage. Take 4 weeks off, then you can use it again. Stenabolic (sr9009) is a great idea when using anabolic steroids for 2 reasons. 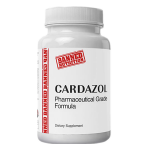 You can use it to offset negative endurance issues from harsh steroids like Trenbolone or Anadrol. You can use it to increase your endurance from using Equipoise. One of the best endurance stacks is Stenabolic (sr9009) + 10mgs a day Ligandrol Anabolicum (LGD 4033). There is some disagreement on if you should use it with Cardarine (GW501516) due to both competing for the same receptors. I would recommend trying this stack, you might be quite amazed. 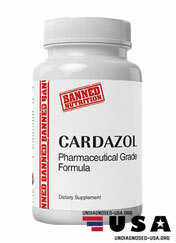 Add in 20mgs of Cardarine (GW501516) once a day, and then throw in 5-20mgs of Stenabolic (sr9009) before you exercise. Now you are covered 24/7 with them in your system. My favorite recomping stack that gives you overall health benefits is Stenabolic (sr9009) + Ostarine Ostabolic (MK2866) 25mgs/day + RAD140 (Testolone) 10mgs per day. Stenabolic (sr9009) is nonestrogenic, not suppressive, and non-liver toxic. Remember though it is still a drug and should never be abused. You do not need to run a Post cycle therapy (PCT) when you use Stenabolic (sr9009) because it is not a hormone. However, if you do use it as part of a steroid or SARM (selective androgen receptor modulator) stack you most definitely need to use a PCT (post cycle therapy). It is becoming more difficult to find real Stenabolic (sr9009) due to the financial and government crackdown on the products. The good news is sarms1.com does still sell it and it is high quality. Copyright © Undiagnosed-USA.org. 2019 • All rights reserved.